Sukico Hainan Cafe is a quiet place for food comparable to the next door busy dim sum shop. I have been mentioning the shop to Jerry but we always forget about it whenever we pass there. This round, I had put some notes in my phone so I can try new stuff rather than the usual old place which is the “Ah Yip Hokkien Mee” whenever we are at the area. Things get us right, and finally we make our visit there. The shop with not much decoration and there is not much people too when we are inside. We had our sit and look at the menu. The menu does not look classy but an old piece of paper with the menu there and it is just being laminated. It is not much fancy food you can find and I had Yong Zhou Fried Rice. 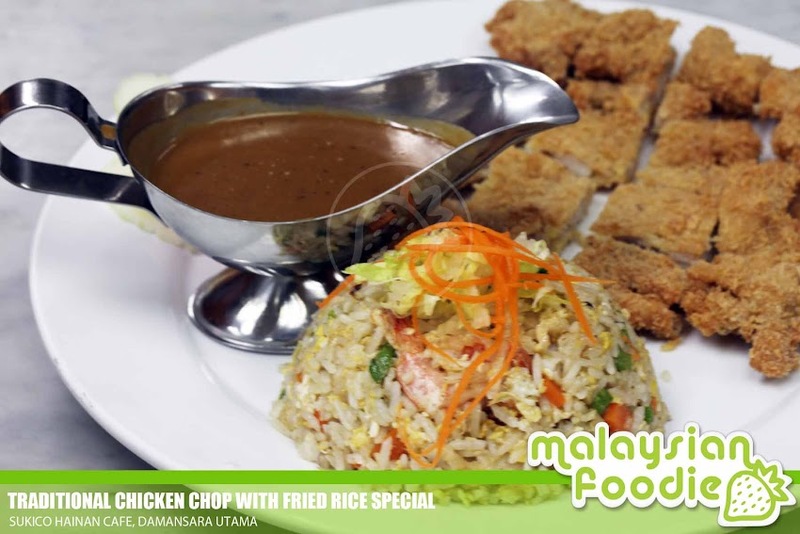 The fried rice which is being served and stir fried with the minced chicken with it as well as some fish cake with it. 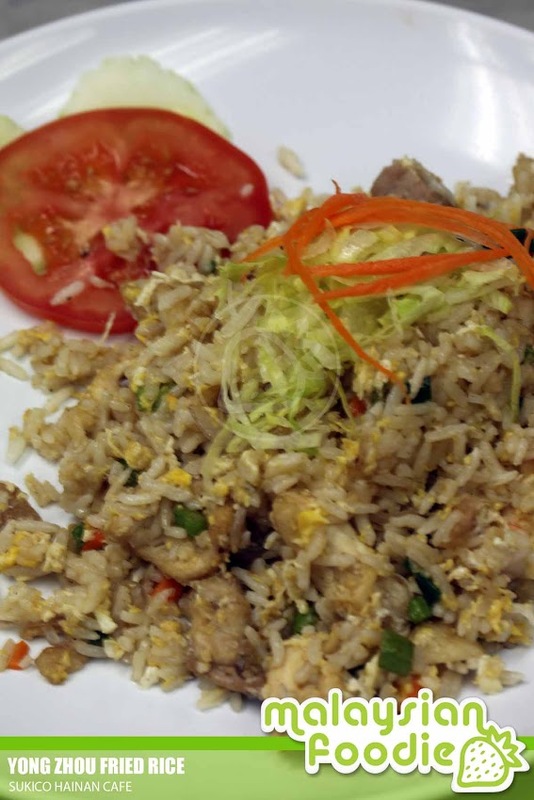 The rice is well fried together and it is quite fragrant as for the fried rice itself. As for Jerry, he ordered the Traditional chicken chop with fried rice special where the chicken chop is being deep fried till crispy and the it is being topped with their home made Hainanese Sauce with it.It is also being served with the normal fried rice which is nothing special to shout about as well. The sauce was superbly good and it is well accompanied with the chicken which gives us a kudos on it.